From the creators of indie smash hit Stick It to The Man! comes a new one to four-player co-op stab-you-in-the-gut-a-thon. 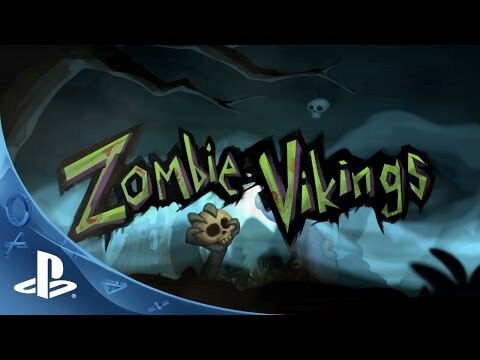 Embark on a dead funny adventure with the Zombie Vikings. A putrid posse sent on a mission through the most epic of worlds to retrieve Odin’s lost eye. Play as the most fearsome Vikings ever raised from Norse soil – Gunborg, Seagurd, Hedgy and Caw-kaa. Hack through the gingerbread swamps of Molgaga! Cruise through the intestines of the Midgaard Serpent! Fight giant poultry! - +25 levels in 8 different worlds. Plus 5 Versus Arenas! - Over 40 unlockable weapons. Try out Stinknir or Blunt Fish Trauma! - Collect Viking Runes to gain new cool abilities. Mix up your style of play! - Stitch all your friends together into a giant mega Zombie. Working together is fun!